Macon’s Rose Hill Cemetery, the Ocmulgee Heritage Trail, Fort Hawkins and Amerson Park will soon be seen by visitors who never have to step foot in the city. 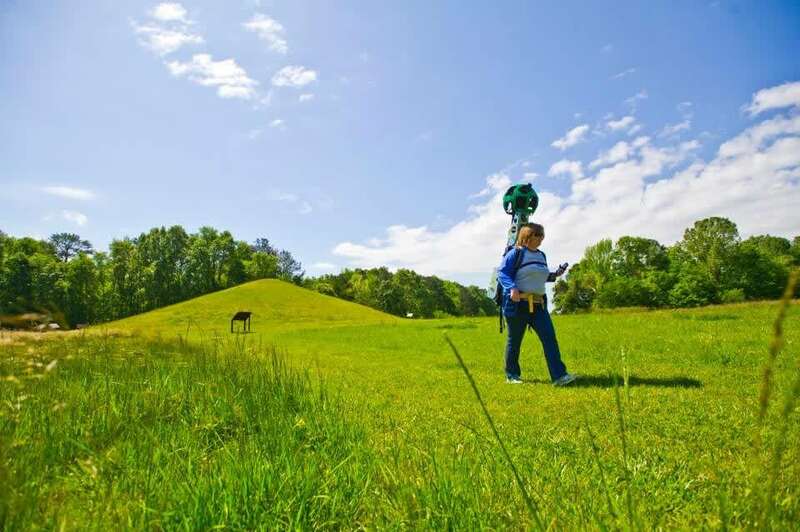 Earlier this month, a virtual hike of the Ocmulgee Mounds National Historical Park was captured by a Google Street View Trekker -- a 45-pound wearable backpack with an attached pole that’s topped with a green sphere that holds eight cameras. The odd-looking contraption was on loan from the information super giant to the Ocmulgee Mounds National Historical Park Association, a nonprofit that aims to bring recognition to the park. “Google actually asked us if we could help them out and map a few trails around Macon,” Billie Coleman, public relations manager for the association, said in an email. Valerie Bradley, director of communications for the Macon-Bibb County Convention and Visitors Bureau, said she thinks virtual tours of the sites will encourage people to come see Macon. Coleman said she expects the trekked images will be released for public viewing this fall.